Each bar features the company's logo at the top, with the weight and fineness beneath. 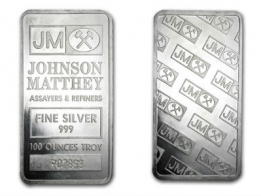 These bars contain 999 fine investment grade silver bullion. The company's repeating logo is located on the reverse of the bar. 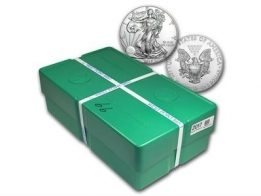 The Republic Metals Corp 1 Ounce silver bars are sold sealed in plastic to prevent tarnishing. 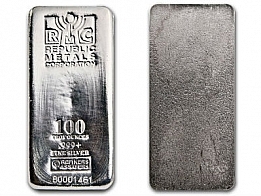 The Republic Metals Corp silver bars are available in 1 Ounce and 100 Ounce sizes. 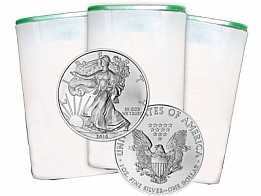 These bars are popular with silver investors as they are low premium 1 oz silver bars. Please contact us to sell Republic Metals Corp silver bars.